With the election of Prime Minister Justin Trudeau, Canada is presently a nation undergoing unprecedented social transformation. From a cultural perspective, this transformation comes in a subtle but effective form. The end result may well be something unimaginable even one generation ago. Based upon Trudeau's fervent dedication to globalist political ideology, one would assume he, along with his cabinet, are the primary driving forces behind our Liberal government's agenda to "internationalize" our nation. Is this really the case? After following the antics of the Liberals during their first year in office, additional thoughts begin to percolate. Was there a long term plan to engineer Trudeau into office well before — meaning a decade or more before — our most recent federal election? Is it a coincidence that Trudeau is our ruling prime minister at the time of the 150th anniversary? Was he, in fact, specifically groomed for the position for the purpose of entrenching a globalist agenda within Canadian society? The more these ideas are considered, the more they begin to make sense. 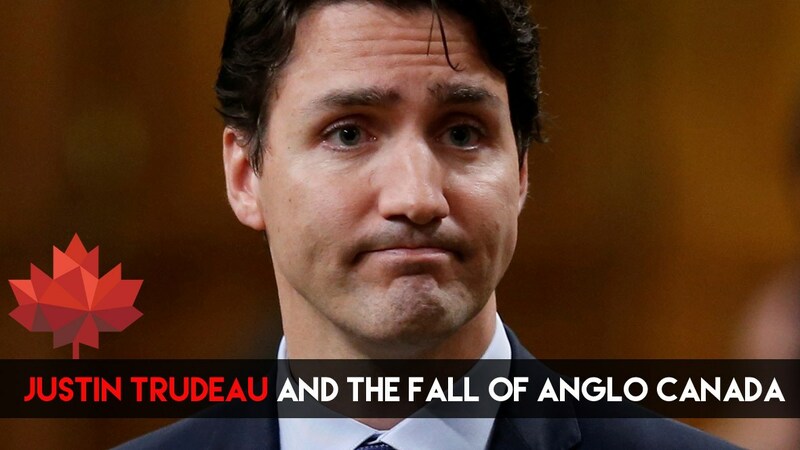 In fact, one could surmise it is not the Trudeau government which controls our national destiny, but rather a combination of powerful international forces. The specific entities which come to mind include the United Nations, globalist billionaire George Soros, as well as the government of China and the House of Islam. Indeed, their every wish and desire pertaining to Canada have thus far been accommodated by Mr. Trudeau. Massive deficit accumulation, voluminous refugee intake, billions provided to foreign governments, and the entrenchment of Islam within Canadian society provide our most tangible indications. Based upon the signals coming from the PMO regarding the 150th anniversary of Canada, the celebration is very much a two-sided coin. On one side, we have the multicultural platitudes of the globalist agenda. On the flip-side — the component the general public do not witness — we find a corresponding erosion of traditional Canadian culture and historical identity. Within Justin's Canada it is not "cool" to identify with, or display any element of pride, in our Anglo-Canadian heritage. Indeed, for Trudeau and his gang of globalists, English Canada is so very out-of-style. As a result, the opposite side of the coin suggests the dissolution and eventual demise of English Canada as it existed for the past one hundred and fifty years. Justin Trudeau is not a great statesman, saviour of the people, or even the true leader of our nation. He is, in fact, a great destroyer — and his target is the identity, heritage, and culture of English Canada. Yes, despite our diversity naysayers, Canada has its very own cultural identity — or at least it did until the Trudeau Dynasty seized control of our country. In the spirit of the socialist governments Trudeau so admires, the cultural transformation we speak of is perpetuated in a most subliminal form. Incrementally, one law at a time, our Liberal government is divesting Canada of its values of freedom and democracy. Freedom of speech is under attack by way of government "Islamophobia" legislation. The Liberals have established political lockdown, while a silent majority are straight-jacketed into silence by way of rampant political correctness. As a result, there has never been a greater chasm between government and its people in the entire history of our nation. The Liberals are a new form of government intent upon the formation of a new Canada. They have no interest in pleasing those of us old enough to remember our country as a sovereign and independent nation. Our post-war, baby-boomer generation is being forced into political retirement. The Liberals are about fresh blood — specifically, the blood of new arrivals from the third world, as well as millennials who have never known a Canada based upon bi-cultural English and French identity. In order to facilitate this new society, Prime Minister Trudeau has formed a cabinet based not upon experience and qualification, but rather one which serves as a blueprint for his vision of our future as a nation. Incompetents such as Maryam Monsef and Bardish Chagger have landed their portfolios not as a reward for competency, but for the purpose of advancing our prime minister's post-nationalist model. No surprise here, as Trudeau himself lacks the qualifications for his role as prime minister — unless one considers snow-board instruction as essential to good governance. As year two of our Liberal government unfolds, the good people of Canada will remain on the receiving end of a continuous program of cultural socialism. Within this framework, historical revisionism in the form of Canada's so-called "multicultural" heritage will be front and centre. Never mind the fact that Canada existed as a bi-cultural English and French nation for the bulk of its history. The Liberal government of Canada is little more than a shadow-government for major globalist entities. Justin Trudeau was groomed for his role, and it is no coincidence he is prime minister at the pivotal moment of our 150th anniversary. All necessary relationships — including connections with various dictators and socialist governments — were in place decades ago under the rule of father Pierre. Rather than employ an authentic dedication to the health and welfare of Canadian citizens, Justin Trudeau is working to become multicultural ambassador of the world. Judging by his behaviour thus far, he is fulfilling his role in a most effective manner.